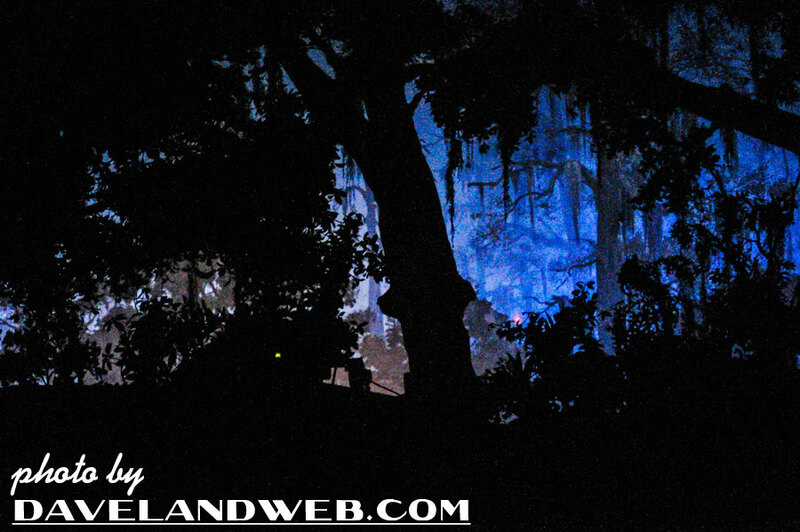 Here are two more shots taken from the Blue Bayou Restaurant...of the Blue Bayou. 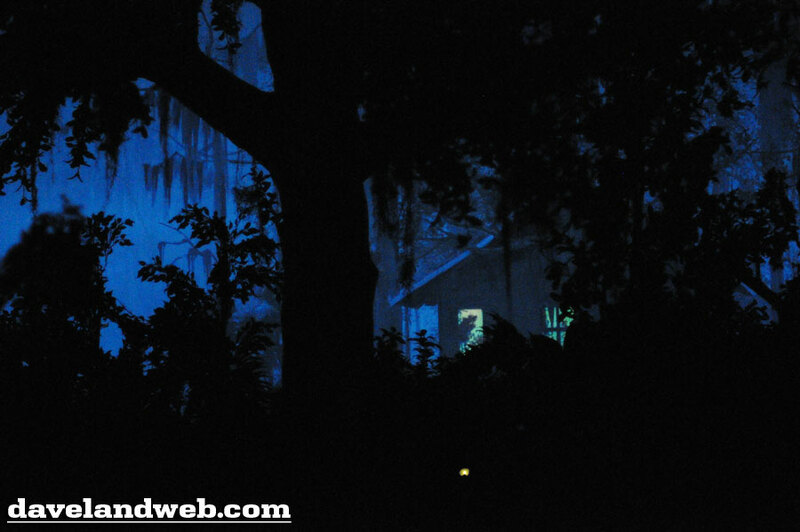 And a wide panorama shot of the Bayou, including the dude on the porch smoking his pipe. 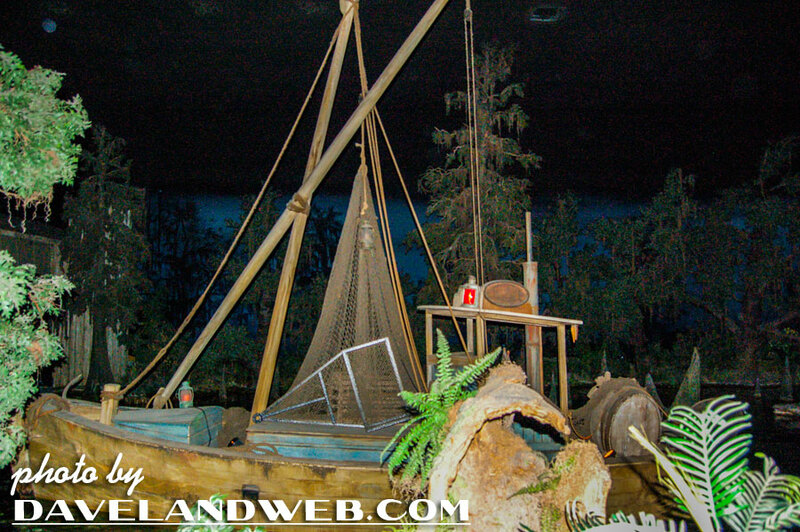 You’ll also notice the same sculpt in the jail at the end of the attraction, as I have mentioned on here previously. 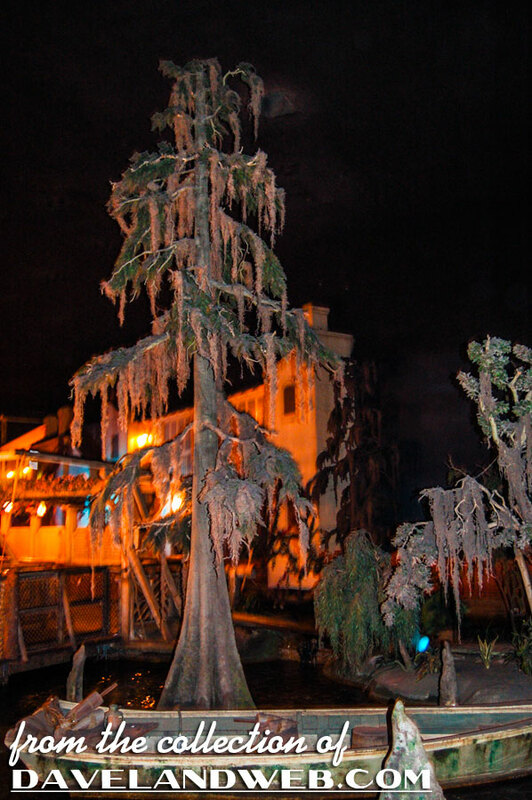 Here’s an atmospheric shot of the bayou area in the line queue, restaurant visible in the background. I can almost hear the frogs croaking now! 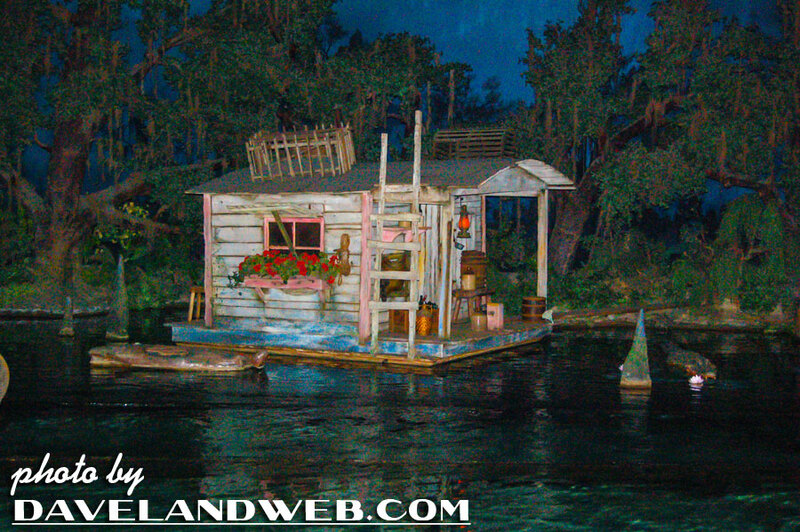 See more Pirates of the Caribbean (both recent and vintage) photos at my website. 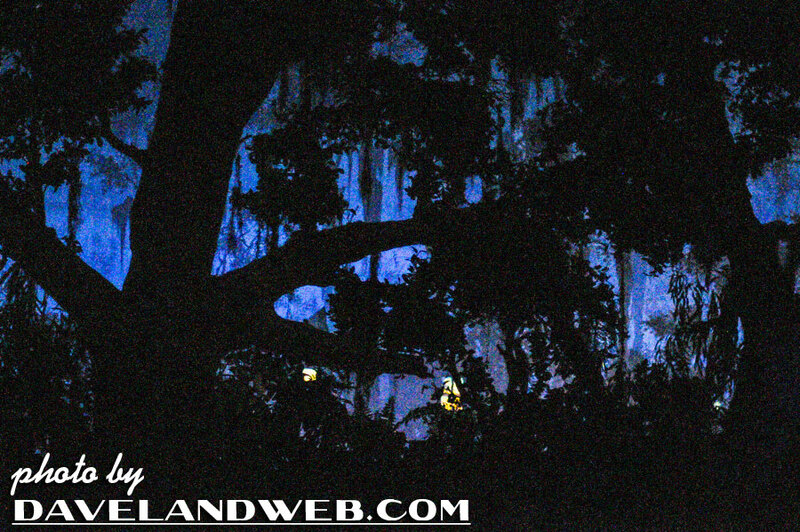 Great pics Dave, This is really one of my favorite places in the park, looking out on the beautiful bayou munching on a Monte Cristo. You forgot to mention the lightning bugs...a simple effect but it is so close to the real thing. 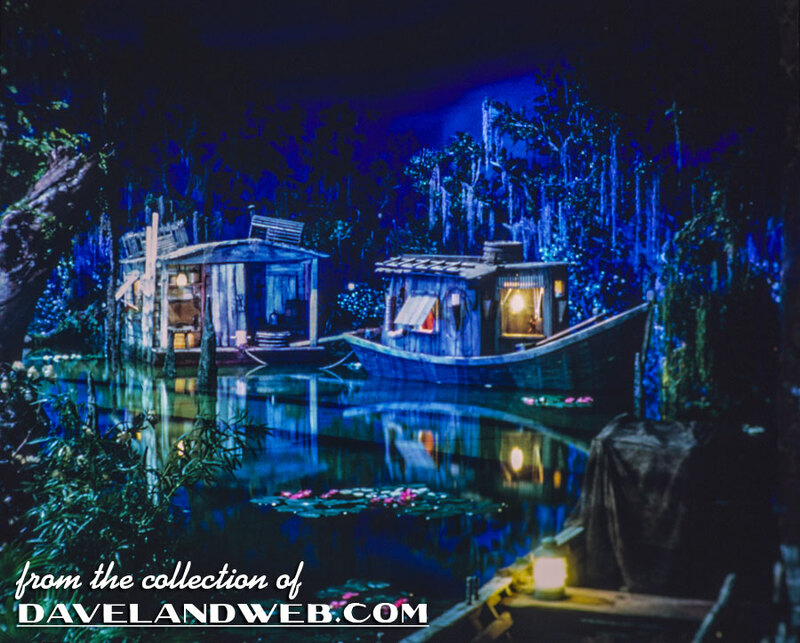 The Blue Bayou is so fantastic... as a kid, I thought that if I even struck it rich, I would have a room in my mansion that was a total ripoff of the Bayou! Do they still play the banjo loop? These recent non-flash shots are great I've never seen it looking so much like it does in person, in pictures. 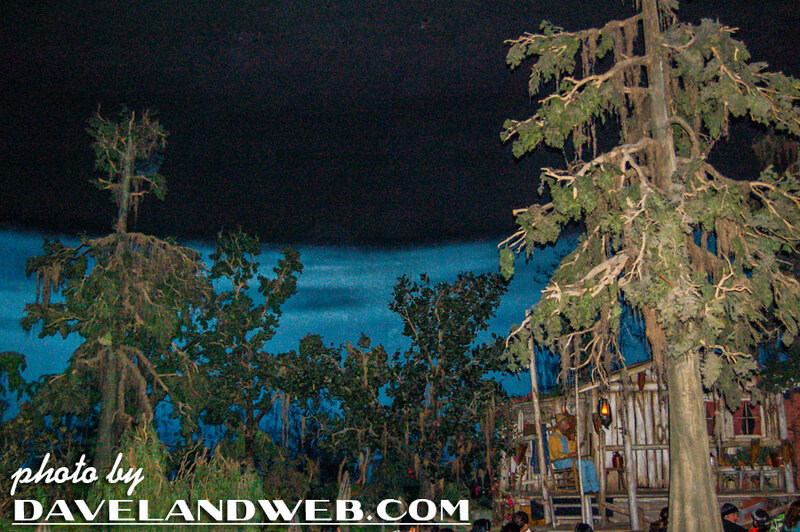 The panorama shot is also darn nice with the way the whole scene is set, all the way to the "clouds" backdrop. Great publicity shot too. Thanks for posting all these, I just love that bayou. 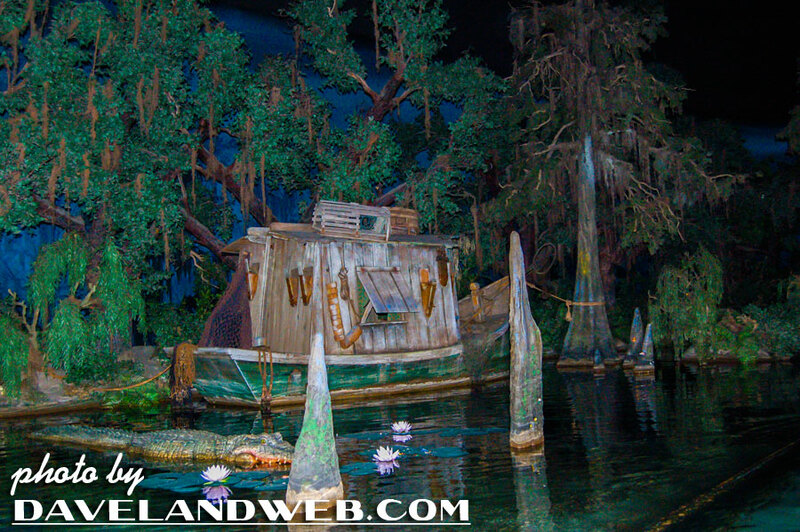 That bayou scene is my favorite scene in the current Disneyland. So beautiful and atmospheric. Thanks for the great photos. Great photos. I love the quiet of this part of the ride. 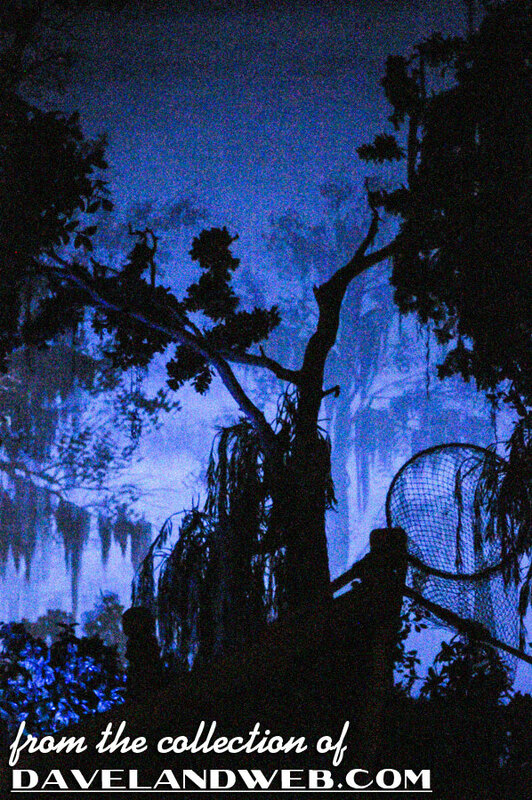 I am finally getting back to the Blue Bayou for dinner Tuesday night. You can't beat the atmosphere!